Apologies for the lateness of this posting, but since it's just you and me here, devoted fans of classy and extremely well-presented home video, allow me to say: the Criterion Collection's lineup is getting more and more exciting! In April 2018, the company plans to release two strikingly different black and white films: Leo McCarey's wonderful comedy The Awful Truth, starring Cary Grant, Irene Dunne and Ralph Bellamy; and Jim Jarmusch's Dead Man, his first period picture, starring Johnny Depp. 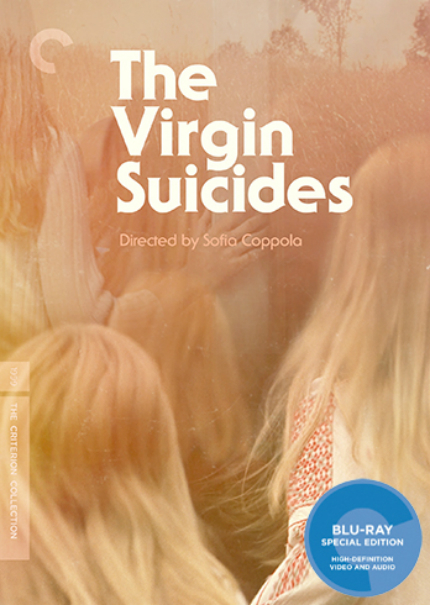 Sofia Coppola's strikingly subduedl The Virgin Suicides and Sergei Parajanov's The Color of Pomegranates -- about which I know nothing -- and a bevy of Bergman. The latter is part of Criterion's no-frills Eclipse line and will allow fans of the fab Ingrid Berman to visit her "Swedish Years" through watching six films, including Intermezzo. Read all the details at Criterion's site.